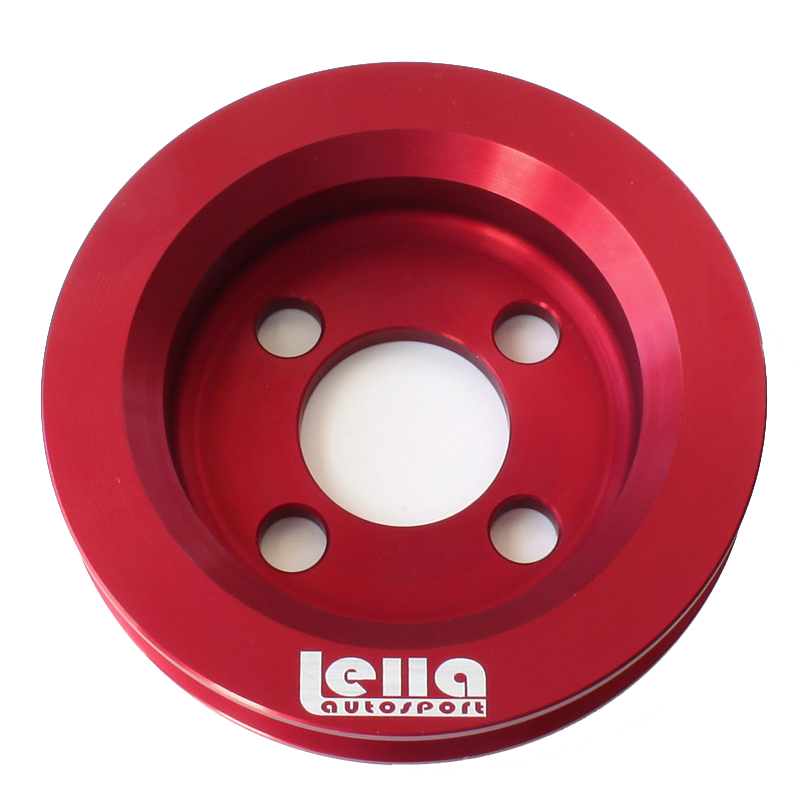 Free up some horsepower from your engine with this Lella Autosport Underdrive Crank Pulley. With an underdrive pulley, your alternator and water pump will steel less horsepower from your engine, allowing your engine to put that power to the wheels. An underdrive pulley is one of the few items that will increase the horsepower throughout the entire power band, not just at the top end like most engine modifications do. Weighing in at only 6oz, half the weight of the stock pulley, you will also gain power by reducing the rotating mass of your engine. Keeping in mind the crankshaft turns two times for every time the camshaft does, this pulley is equivalent to saving 12oz at the camshaft. Will fit 1.6L and 1.8L 8v's, and 1.8L and 2.0L 16v's with no Air Conditioning or Power Steering. It may fit some vehicles with Air Conditioning or Power Steering depending on the offset of your current pulley setup, see below to learn how to measure your current pulley offset. Take your pulley off and lay it on a flat surface, with the back of the pulley(side that touches the crank) touching the surface. Measure from the flat surface to the middle of the V groove. If it measures approximately 0.57" (14.5mm) then this pulley will fit. If it is more or less please contact us and we may be able to make a spacer or trim the pulley so it will work for you.